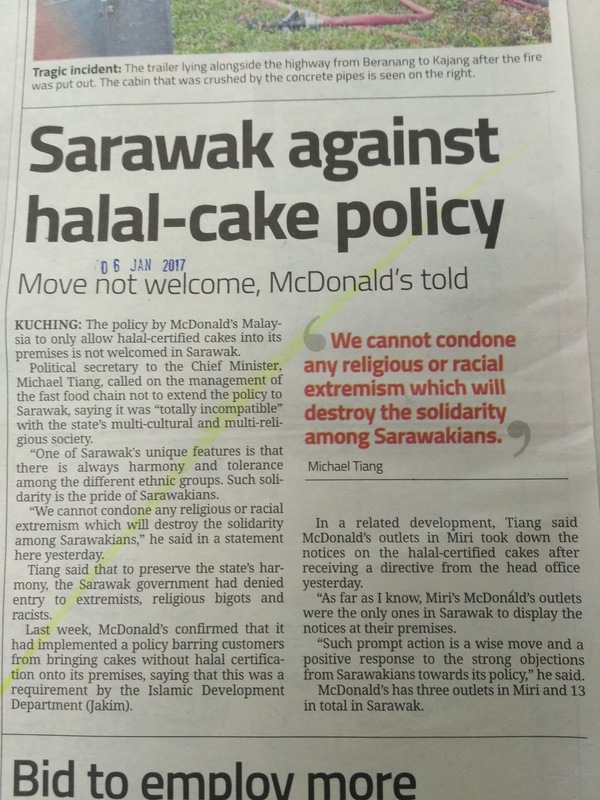 Political Secretary to Sarawak State Chief Minister, Michael Tiang, is too quick to conclude that McDonalds’ discriminative policy of disallowing non-halal birthday cake is lifted throughout all its outlets in Malaysia. 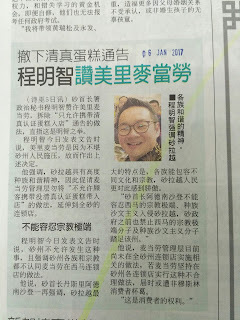 As McDonalds’ has pointed out in a statement dated 31st December 2016, the fastfood outlet has no intention to withdraw the ruling and one must aware that such ruling shall work throughout all its outlets in Malaysia. 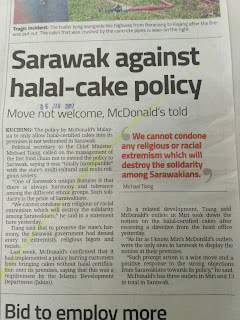 The removal of such notice from an outlet in Miri does not mean such ruling if lifted and is not inexistence anymore. One must also be aware that such notice is not displayed in all McDonalds outlets. However, with the press statement issued by McDonalds dated 31st December 2016, it is crystal clear that such ruling is applicable all over Malaysia, regardless of whether the notice is displayed in its outlets or not. 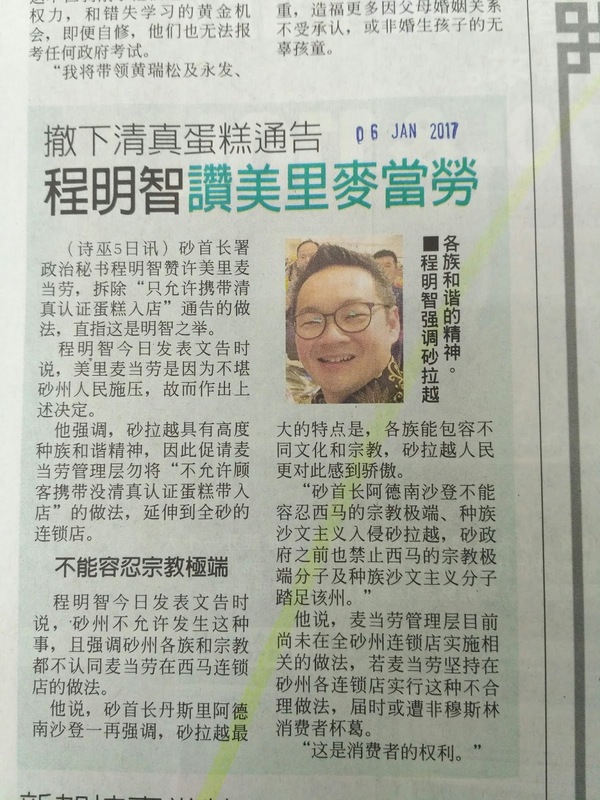 Michael Tiang’s statement issued one day before the said notice was taken down from McDonalds’ outlet in Miri should never be regarded as a “ruling” or “directive” from the state government, as Michael Tiang is merely a political secretary in Sarawak Chief Minister’s office. In plain words, he is just a staff and he only represents himself. He does not even represent the Chief Minister unless he is instructed by the Chief Minister to issue such statement, let alone the state government. His statement can never be misunderstood as “directive or ruling from the state government”.